The other night after determining that I needed a new lipstick, I concluded that I had to have Guerlain's Rouge Automatique in Champs Elysees because it was named after one of my favorite streets in Paris. If you contemplate that long enough it makes sense, I promise. 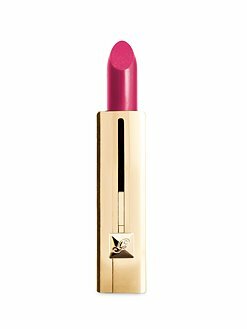 Rouge Automatique comes in twenty shades, is housed in a gorgeous gold tube and opens in a Bond-like fashion with one click. Amaze. I made the mistake of getting on Saks Fifth Avenue's website to purchase it and was met with this: "DUE TO HIGH DEMAND, A CUSTOMER MAY ORDER NO MORE THAN 6 UNITS OF THIS ITEM EVERY THIRTY DAYS"
So do I order my 6 now to be safe?? I am so confused/worried. Then I noticed that ALL of Gurlain's lipsticks are in beautiful containers. Maybe I need Rouge G de Gurlain, a lipstick nestled in a silver case designed by Lorenz Bäumer, a famous French jeweller. And then there is Kiss Kiss Stick Gloss, a sheer lipstick that comes in 7 very wearable shades and is packaged in yet another fabulous, Art Deco looking container. To say that I am perplexed would be an understatement. If only they were a bit less expensive (they all run around $30) so that I could just buy all three and be done with it. But I cannot justify that, as much as I have tried. I only need one. . I guess I'll think about it for a little longer. Oh goodness. 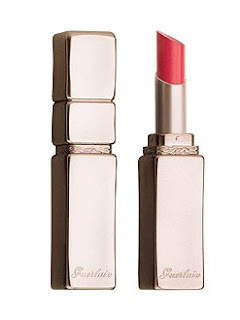 Is it sad that I own several of each of these lipsticks from Guerlain?!? They are indeed my favorite, not only for the packaging, but for the quality too. (psst. 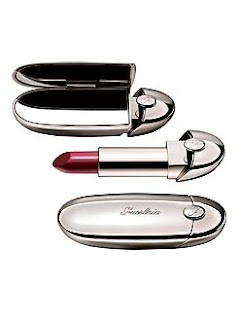 Tray Strawberrynet.com for the Rouge G & Rouge G Brilliant...they are always discounted and the CS is super! They didn't have the original lipstick you posted. I was going to buy it, because I loved the pink color.